The Healthynewage 6-in-1 weight loss diet helps you achieve your perfect weight in 28 days – and helps you maintain it. It is 100% natural and requires NO pills, little or no gym exercise and what is great is you will still enjoy many of your favorite foods. Now you can improve your overall health and Lose 10 pounds or more without ever putting the weight back on again. Let’s be really honest about what is going on in the world: “If everyone is thinking alike, then somebody isn’t thinking”(George S. Patton). It has been argued for many years that our western private medical system thrives financially because people eat all the wrong foods. How is this connected? Obese people have a higher risk of cancer, heart disease and diabetis. These illnesses are increasingly ruining many people’s lives and pushing up the cost of medical care. Unfortunately he pharmaceutical giants are making a fortune treating symptoms, rather than addressing the root causes of the problem. Thankfully in recent years, much progress was made when research nutritionists started to discover answers that enable better lifestyle strategies. To be clear: the lifestyle change that we endorse here, has been scientifically proven by major institutions in the US and Europe. Research data now debunks several myths which led to unnecessary obesity and other related illnesses. You can rest assured that our 6-in-1 health report will yield perfect weight-loss results and improve your overall health. Social proof: Healthynewage.com is a trusted online health magazine that existed since 1998. Over the years we have hosted the research of many nutrition professionals. We have seen social proof and testimonials from our community, however we have gone the extra mile when nutritionists provided us with the new weight loss plan: It is backed by scientific proof. The principles of this new diet has been scientifically researched by Universities in the US and Europe, all which will be contained in the report. This lifestyle change allows you to reach your perfect weight with as little as 3 days of moderate exercise per week. Whether you like walking, or going to the gym, cycling or swimming, it is entirely your choice. However some people’s physical condition does not allow much exercise at all – which is why this diet is great because exercise is not a mandatory part. We know that you would like to put this matter behind you once and for all so that you can focus on enjoying life to the fullest. We also know that you are probably busy and might not have the time to research more than 1200 academic research papers to re-design your lifestyle safely. That is why we produced a 6-in-1 report to help you move forward in an easy and realistic time frame. 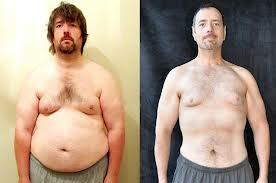 A 60 day guarantee: You will loose weight, or your money back. Being fat is a choice for some people, for others it is purely due to a lack knowledge. In either case, there is no excuse: You can easily be your perfect weight. Join the healthy crowd today and look your best! Being your perfect weight is priceless, that is why companies charge a lot to help people. ..Nutritionists will charge you $450 for exactly the same.. The lifestyle and diet report comes with a 60 day money-back guarantee and can be shared with a friend or family member at no extra charge. Healthynewage.com will send your full PDF e-book via email within 24 hours of receiving the order.